Founded and guided by His Highness the Aga Khan, the Aga Khan Development Network (AKDN) brings together a number of development agencies, institutions and programmes that work primarily in the poortest parts of Asia and Africa. A central feature of the AKDN’s approach to development is to deign and implement strategies in which its different agencies participate in particular settings to hemp those in need achieve a level or self-reliance an improve the quality of life. The promotion of universal values through bold multinational partnerships that span the cultural divide has been the cornerstone of Daphne Recanati Kaplan and Thomas S. Kaplan’s philanthropic lives. These efforts range from the creation of Panthera’s Global Alliance for Wild Cats, which brings together committed Chinese, Indian, Gulf Arab and American donors; bestowing landmark exhibitions of the art of Rembrandt at The Louvre and the national museums of China and Russia; and their engagement with the International Alliance for the Protection of Heritage in Conflict Areas (ALIPH). Partnering with the Paris Peace Forum reflects their deep-seated desire to foster humanism and to support inclusive and innovative models for problem-solving. As a German Federal Enterprise providing, amongst others, services in the field of international development cooperation, Deutsche Gesellschaft für Internationale Zusammenarbeit (GIZ) is particularly interested in governance solutions brought within the framework of fragile contexts. Building upon the strengths, skills and resources that public and private partners can achieve valuable impact, the collaboration with the Paris Peace Forum is for GIZ a unique chance to complement the international exchange of experience about peace and security and to see it in the broader framework of the Sustainable Development Goals of the Agenda 2030. Two services of the European Commission represent the European Union in the Circle of Partners of the Paris Peace Forum. The Directorate-General for International Cooperation and Development (DG DEVCO) plans and implements the European Union's development and international assistance policy and thematic measures aimed at reducing global poverty, promoting economic, social and environmental development and promoting democracy, the Rule of Law, good governance and respect for human rights, including through external assistance. by applying the measures for conflict prevention and response financed by the Instrument contributing to stability and peace. Founded in 2004, Facebook’s mission is to give people the power to build community and bring the world closer together. Facebook aims to develop an internet where people can speak up without spreading hate, where communities can come together without interference or abuse and where everyone can access the benefits of technology and know their privacy is protected. 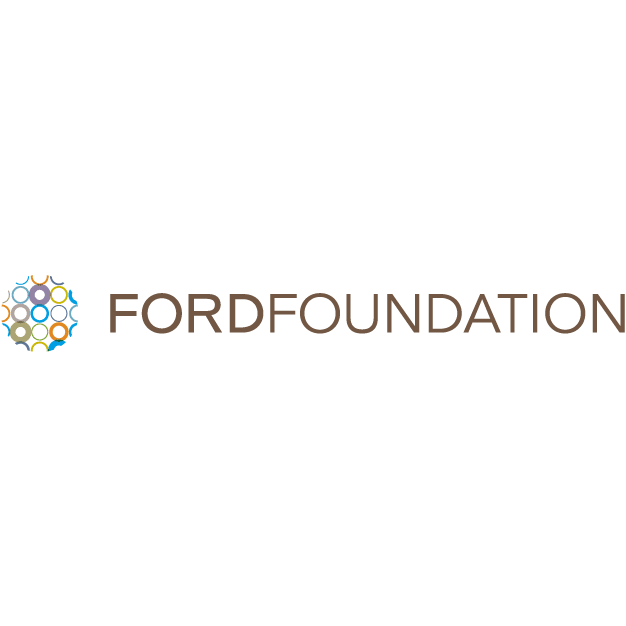 Foundation is acutely aware of the changing global context and its commitment to supporting a rule-based global order and democratic values is unwavering. It is this approach that leads Ford Foundation to support the Paris Peace Forum and the potential for meaningful collaboration in the pursuit of social justice. The company seeks to promote the multi-stakeholder model for Internet governance, which allows governments, civil society actors, private-sector representatives, and academic and technical experts to have an equal voice in how the net is governed. Established in 2018, Luminate is a global philanthropic organization with the goal of empowering people and institutions to work together to build just and fair societies. Luminate funds and supports non-profit and for-profit organizations and advocates for policies and actions that will help people participate in and shape the issues affecting their lives, and make those in power more transparent, responsive, and accountable. The Paris Peace Forum offers a good network to support Luminate’s direct policy advocacy work, as well as the work of its investees. The last cyberattacks such as “Not Petya” and “Wannacry” not only assaulted civil society, public entities and companies but also deeply damaged structures underlying our democratic processes. Microsoft therefore chose to mobilize for digital peace. With the Paris Peace Forum, Microsoft aims to trigger a dialogue on how to protect people from the risks they face in the digital age as well as to stimulate a multi-stakeholder approach, empowering citizens, NGOs, governments and industry to design concrete, innovative and sustainable solutions to cyberthreats. As a global funding network that supports several thousand civil society groups around the world, the Open Society Foundations are committed to the values that the Forum represents. Recognizing that global challenges cannot be solved by national governments alone, Open Society is partnering with the Paris Peace Forum to affirm the role of civil society actors and NGOs working to ensure that everyone has a say in the decisions that affect them. AXA is an international insurance leader which contributes to build a safer and a fairer world at a global scale in the long term by protecting individuals and companies. The priorities at the heart of AXA’s social responsibility includes environment and climate change, health risk prevention and a responsible use of its customer data; they fully reflect the five challenges of the Paris Peace Forum. EoE is a global and growing community of over 5,000 experts from across the globe, facilitated by a dynamic Abu Dhabi-based Secretariat, using knowledge exchange webinars and physical conventions to connect those with information-related challenges to those with solutions: educators, information engineers and open data advocates to develop and share solutions. Development policy is undergoing deep transformation. In France, the Agence française de développement (AFD) is the platform of this policy. Where all the initiatives meet, from the micro to the macro, all the actors, public and private, national and international and all instruments, financing, expertise, dialogue and research. Where they act together towards a world in common. AFD takes five foundational commitments: "Paris Agreement", "100 % social link", "3D development thinking", "non-sovereign first" and "partnership by design". It works to genuinely improve the everyday lives of people, in developing and emerging countries and in the French overseas territories. Through its network of 85 agencies, AFD operates in 110 countries and is currently supporting over 3,600 development projects. In 2017, it earmarked more than € 10 bn to finance these projects and will see its capacities of action significantly increase to reach the target of 0.55 % of France’s Gross National Income for ODA in 2022 set by President Emmanuel Macron. AFD is a key partner of the Paris Peace Forum. Governance, SDG 16, is a transversal dimension to all its interventions that supports the political and civic transition. During these three days, AFD will talk about projects, reach out to all stakeholders, and act together to accelerate collective action for development, a sustainable investment towards a world in common. More than a global law firm, Allen &amp; Overy is a strategic and privilegied partner for its clients. It supports them daily in their key events of their development. Auditoire is a global brand experience agency that transforms conversations and enhances the interaction between organizations, brands and their communities. Auditoire is proud to assist the Paris Peace Forum in the development of the Forum program, the digital communication as well as the full production and logistic of this outstanding event. The Global Challenges Foundations (GCF) facilitates changes to the global governance system that would enable better mitigation of global catastrophic risks, such as climate change and nuclear war. In collaboration with others, the GCF fosters a demand for change and generates plausible alternatives. Through its partnership with the Paris Peace Forum, the GCF hopes to provide the community of governance innovators with a platform to present their solutions, receive feedback and mobilize other stakeholders around an innovative change agenda. One of the goals of the Calouste Gulbenkian Foundation for the period 2018 - 2022 is to position itself, nationally and internationally, as a centre for reflection and debate, framing Portugal's problems together with those of Europe and of the World, in partnership with the main international foundations, think-tanks and universities, contributing to the development of a humanistic society and improving the dialogue between cultures - through studies, conferences, scientific dissemination exhibitions, advocacy and publications, using external experts and think- tanks. The objective is to develop forward-looking analysis and reflection activities on issues covering migrations, sustainability, education, global health, cities, the future of Europe and democracy. We live in a time of social challenges for which only joint and energetic responses can make a difference. The global nature of today’s problems has resulted in shared agendas and in the networking of international foundations as well as multidisciplinary and problem-focused approaches. The initiatives such as the Paris Peace Forum contribute to promoting a more informed, more collaborative and more effective philanthropic network, still remaining an irreplaceable space for the sharing - face to face - of our experiences. The Calouste Gulbenkian Foundation wishes more and more to confirm itself as a key partner in strengthening civil society organizations and to participate in key international networks of foundations and to be a partner in projects that tackle the major themes of today. Frallain Group is a leading promoter of African luxury brands and a provider of risk capital for African brands. Frallain Group provides a platform with industry experts in Fashion, PR, Sales and distribution for the commercialization of these brands and integrating tangible social impacts into the brands’ philosophies. We invest in brands that have a social impact approach which is geared towards women empowerment, job creation through collectives in Africa (for example, the Masai women in Kenya who create beadwork for global fashion brands). Frallain Group have chosen to partner with Paris Peace Forum because it is a forum that brings together leaders from across disciplines to address challenges happening across the globe. The Frallain business model is built on supporting communities across Africa to become more sustainable, by providing access to work and access to market to the creative industries within the continent. The aim is to promote an inclusive economy. Founder Roberta Annan is passionate about developing pathways for women in Africa and worked at the United Nations as a consultant in resource mobilization, where she mobilized funds that created fund raising strategies to expedite the implementation of UN projects across the world. The partnership will provide Frallain Group the ability to further realise its aims of creating social impact for the poorest communities in Africa, using the creative industry as a routeway out of poverty. Carnegie Corporation of New York’s mission is to promote a more secure, peaceful, and prosperous world. Since its establishment in 1911, the philanthropic foundation has been guided by the vision of its founder, Andrew Carnegie, who believed in the value of in-depth knowledge and in the practice of diplomacy as the instrument for resolving conflicts, rather than resorting to war. As Carnegie once said, “Peace wins her way not by force; her appeal is to the reason and the conscience of man.” At a time when the world is facing so many social, economic and political challenges, Carnegie Corporation of New York believes institutions must rise to meet their historical obligations. Today, more than ever, there is an urgent need for broad and continued involvement in identifying and tackling our shared challenges. For the Corporation this means supporting research and international linkages, building capacity and scholarly networks, and advancing public understanding, engagement and informed action. It therefore supports efforts that bridge the gap between academic expertise and the institutions of good governance, communicating more effectively to both policymakers and the public. Its current priorities include nuclear security; strengthening U.S. Democracy and the rule of law; developing relationships among major powers, including Russia and China; transnational movements and the Arab region; and peacebuilding, higher education, and research in Africa. Global governance has been shaped by national governments and international organizations for a long time. An ever more complex and interconnected world however can only be addressed by a variety of actors developing and implementing solutions both on a supranational as well a grassroots level. New formats of participation and modern forms of communication and technology increasingly allow citizens to contribute their expertise, skills and creativity to explore effective solutions for those global challenges. Citizens can bring novel, flexible and courageous ideas to the table. Enabling them to do so can contribute to the success and public acceptance of innovative approaches. It is vital to continue strengthening different forms of citizens’ engagement, especially in times of rapidly shrinking spaces and general societal volatility. Citizens can increasingly shape the international space as well as challenge the conventional and speak truth to power. They can establish inclusive exchange formats that translate into concrete action, advance mechanisms of political participation to increase impact and invest in education to broaden knowledge on root causes of global challenges. Citizens can develop skills to tackle global challenges and advocate for international understanding as a foundation for global governance. Founded in 1913 by John Davison Rockefeller and Frederick T. Gates, the mission of The Rockefeller Foundation is to promote the well being of humanity throughout the world. It advances new frontiers of science, data, policy, and innovation to solve global challenges related to health, food, power, and economic mobility. As a science-driven philanthropy focused on building collaborative relationships with partners and grantees, The Rockefeller Foundation seeks to inspire and foster large-scale human impact that promotes the well-being of humanity throughout the world by identifying and accelerating breakthrough solutions, ideas and conversations. Stiftung Mercator was established in 1996 to stimulate the main social processes that contribute to the emergence of a society characterized by openness to the world, solidarity and equal opportunities. The foundation focuses on strengthening Europe, on increasing the educational success of disadvantaged children and young people, especially those of migrant origin, on improving the quality and impact of cultural education, on driving forward climate change mitigation and on promoting international cooperation.